Richmond Primary Readers is an original series of 18 titles covering the 6 levels of Primary. 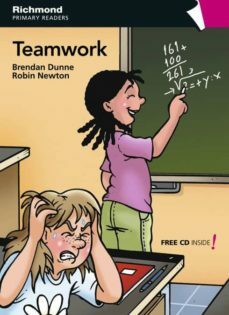 The series is fully mapped to the Cambridge Young Learners' Exams and comes with extra teachers' resources. Key features include: Engaging illustrations using a variety of different styles Humorous stories which appeal to each age group, with different levels of language Most stories are original A picture dictionary is included at the end of each book All readers have an audio CD to allow listening and reading practice Worksheets available for all titles.